Much if not all of this is due to Canada’s (neo)Conservative government under Stephen Harper. Harper himself has declared that Canada will be a different nation when he is finished with his reign of office. Harper’s background is of a fundamentalist-dominionist Christian ideology that he himself hides reasonably well but which shows up quite frequently in his supporters and in caucus. He is determined to create a domestic order that is ruled by giving freedom to corporations, in alliance with the banksters, to do as they require to harvest the wealth of the country for their own benefit. The two recent attacks on uniformed Canadian soldiers by ‘lone wolf’ attackers is well known at least to those attending to western media. It was the latest incident on Parliament Hill with the murder of an Honour Guard at Ottawa’s War Memorial that has created the most significant response. What the comments truly highlight is the ignorance of the speakers concerning Canada’s role in global affairs historically and within current events in the Middle East. Some kind of action like this was probably very much expected (otherwise, why a watch list of 90+ individuals? ), and while the act of murder is a shock to those witnessing it and suffering from it, it is not a shock in the political usage of the word. Senseless, yes, for those not cognizant of the various psychological combinations of disempowerment, drugs, alienation, and religious dogma. But the ‘senselessness’ goes deeper into Canada’s changing role in world affairs. When Harper spoke to Parliament the day after the Ottawa killing, he spoke of the support he had received from other countries, mentioning by name the UK, Australia, the U.S. and Israel. An interesting conglomeration – of settler colonial states birthed by the racist empire of the British. Perhaps this is taking it too far, but it is as only as far as Harper has gone with his more militant foreign policy. Without qualification Harper supports Israel’s ongoing use of warfare against the people of Gaza, supports the ideology of Israel’s foundational myths, and supports its actions in the West Bank and Jerusalem. He supported the U.S. in their role in destroying the government of Libya, to the extent of honouring the jet fighter pilots who bombed army units and infrastructure well beyond the intent of a ‘no fly zone’. He has sided with the other minions of the western powers in demonizing Putin while supporting the neo-Nazis in the Ukraine who overthrew a duly – if corrupt – elected government. Ironically he has supported the U.S. in Syria by backing the Islamist militants trying to overthrow Assad, who have morphed into ISIS which is supported and supplied by Saudi Arabia and Qatar among other Arab countries who are our supposed allies. And these militants had morphed into shape from the U.S.’ obliteration of the Iraqi state, following its lack of success in Afghanistan. Turkey, a fellow NATO ally member, has until recently allowed ISIS to beat up on the Kurds as it plays out a triple game in the region without too much concern for which militant is the good guy or the bad guy. These are Canada’s actions in the world today. Backing the U.S. in its increasing desperation to save its global hegemony, supporting autocratic monarchies (FYI – Saudi Arabia beheaded 26 people in August using only the authority of Wahhabi religious law to do so), supporting the attempts to revive the Cold War mythology of the evils of Russia and Putin, accusing them of threatening “NATO’s doorstep” when it is NATO that has advanced 700 km towards the Russian border, and supporting the ongoing colonial-settler apartheid of Israel. And then we wonder why Canada has suffered these attacks. The ‘senseless’ aspect of it all is Canada’s role in global affairs. Various pundits in Canada are arguing about the significance of these events, in particular because the Harper regime was intending to introduce new legislation to give CSIS (Canada’s security services) and the RCMP (its national police force) and other police more surveillance powers and more powers of pre-emptive interventions. 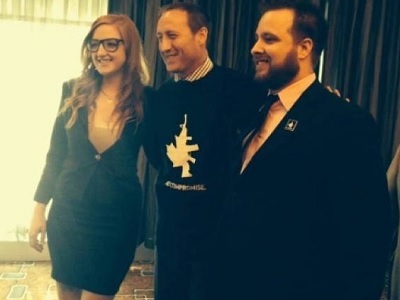 Current Justice Minister Peter MacKay has defended the idea of new legislation allowing greater surveillance for terrorists, adding that it also allows for more surveillance of undefined criminal acts. With the current governments mind-set that could easily become translated to mean people who are protesting against corporations, for the environment, against government initiatives in general. To the pundits credit on CBC, they agreed that the idea was far too open and intrusive. One of the pundits argued that Canadians would normalize the surveillance as the U.S. and the UK people had done, without changing the essence of democracy in those countries. It is easily arguable that true democracy does not exist in either of those countries as they are mainly controlled by the corporate-military-political elites. Sure, we all have a vote, but the real deals are made behind closed doors in secret meetings, a distinct lack of surveillance there. That sadly returns the argument back to the countries that gave verbal sympathy to the Canadian government after the second killing. It is these very countries, on a much larger scale, that have an underlying violence that unites them. Violence used domestically during their years of formation, violence ongoing against subjugated racial/religious groups, violence against other countries who are made to appear as the evil ‘other’ and thus to be destroyed or violently contained. Jim – don’t try to justify or find a reason for murder. Murderers will always have a reason, but who cares. They need to be prevented if possible or tracked down and and a democratic government should continue running its affairs as it sees fit. In a democracy there is a ballot box so if you don’t like the foreign policy then vote against. The idea that it’s acceptable or understandable for a fanatic Islamist terrorist, or anyone else, to murder because he objects to something is insane. Vote or leave the country … that’s democracy. I don’t trust the Israelie’s because they think they are still God’s chosen people but according to the Bible they are not. and any one who goes along with them are just as wrong as they are. Then there’s the U.S. government, our country is being run by big business, big oil, big money. Any one who doesn’t have money is screwed. We need a complete make over of our government. Both attackers targeted soldiers, not civilians. The second attack took place around the parliament, an obviously political target. Canada has supported the American military attacks on countries in the ME and Northern Africa. It is in no way a justification of these attacks when people (not our elites of course) point to the brutal foreign policies of Canada and the systemic casting of Moslems as “violent and uncivilized” that might have played a role. The very fact that we avoid this subject or have Conservatives laugh derisively about the term “root causes” in Parliament points to the relevance of Jim’s remarks. I’m not sure where “vote or leave the country” originates. It certainly has a kind of barstool legitimacy, but I can’t think of anyone who seriously discusses democracy in its many manifestations and internal conflicts who takes it seriously. Can you ? Along with Jim Miles, I think it is interesting to note that the leaders of the countries that sent support to Canada, Mr Cameron of the UK &Mr Abbott of Australia, support the dictates of the US Military Industrial Complex (MIC) and the demands of Israel. As an Australian who believes we can play a more peaceful and humanitarian role in world affairs, I am sick to my stomach that our leaders drag us into wars initiated by the US MIC. I wonder when the US leaders sent their support to Canada if they admitted that US VP admitted that the US had been supporting ISIS for several years! Leaders must stop supporting the actions of the US MIC, Israel , Indonesia etc if they want peace.